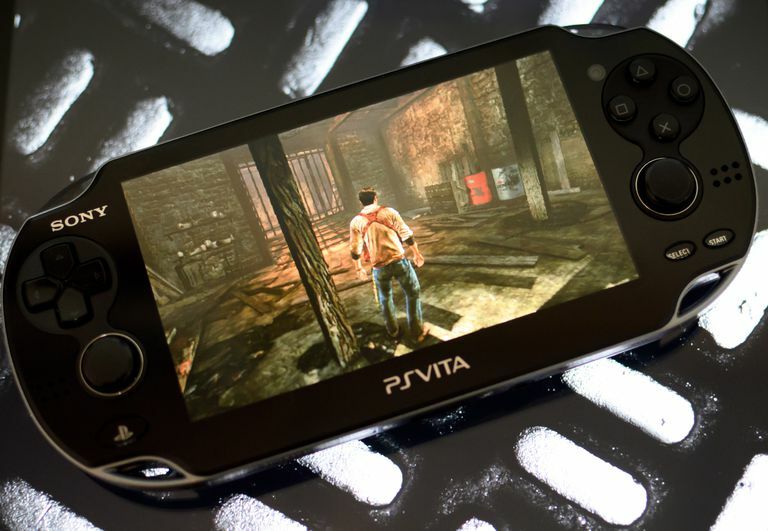 One feature that the PS Vita has carried over from the PSP is Remote Play. What Remote Play does is allow you to access the content of your PlayStation 3 from your handheld, using a Wi-Fi connection. Remote Play on the PSP never really became a big deal, partly because the lower specs and lack of second analog stick meant there was only a limited number of things you could use it for. It's hard to say so soon how important Remote Play will be for the PS Vita, but the better specs of the system and its second analog stick should make it at least a little bit more useful. On the PS3, select Settings > Remote Play Settings > Register Device > PS Vita System. On the PS Vita, select Remote Play > Start > Next. Enter the number on the PS Vita that displays on the PS3, then select Register. Select OK on the PS3 after you receive your success message. It would be really cool if you could do everything your PS3 is capable of remotely on your PS Vita, but you can't. Some of the restrictions make sense, while others are kind of silly. You can get at your PS3's Settings, Photo, Music, Video, Game, Network, PlayStation Network, and Friends menus. What you can't do is use every single feature on those menus. The Settings, Photo, Game, and PSN menus will only let you access some features. In addition, you won't be able to play all your PS3 games. The ability to use Remote Play to play PS3 games has to be built into the game, so whether or not this happens in future games will probably depend on how much people use the feature. Not all videos on your PS3 will be available to watch on your PS Vita via Remote Play. You won't be able to watch any discs, either Blu-Ray or DVD, and any copyright-protected files will also be off-limits. Most of the controls for Remote Play are as simple as using the equivalent buttons on the PS Vita to navigate the PS3's menus. A few exceptions, like the PS3's PS button and changing image quality or screen modes, require tapping the PS Vita's screen and selecting the operation you want to perform. To use Remote Play after you've paired your devices, all you need is Wi-Fi. If you have a PS3 with built-in Wi-Fi network capability (more recent models, in other words), you just select Remote Play then Start on the PS Via, and Network then Remote Play on the PS3. Finally, select Connect via Private Network on the PS Vita and the two machines will establish a connection. The advantage of this method is that you don't need anything other than a PS3 and a PS Vita to play. The drawback is that you have to keep the PS Vita within range of the PS3's Wi-Fi. If your PS3 doesn't have built-in Wi-Fi network capabilities, you can connect using your home Wi-Fi network. All PS3s come equipped to connect to a wireless home network, and so do all PS Vitas. Follow the exact same steps as using the PS3's built-in network above to connect the devices. Finally, if you want to be able to get at your PS3's content when you're out and about, you can do that through any available Wi-Fi. Your PS3 needs to be connected to the internet, but it can be a wired or wireless connection (so if you're still running cables everywhere, you can use this method even if you can't use the above two). Connecting is much the same as if you were at home, except you select Connect via Internet on the PS Vita. The drawbacks of connecting this way are that not all Wi-Fi networks will let you do it, and you have to put the PS3 into Remote Play mode before you leave your house, as there's no way to do it remotely. When you're done, turning off Remote Play is as simple as switching to another application on your PS Vita. The connection to your PS3 will automatically close after 30 seconds (the PS3 will remain on and in Remote Play mode, however). If you want to also turn off your PS3 remotely, first tap the PS Vita screen while still in Remote Play and select Power Off. The PS3 will shut itself off and the connection will close.